This is official new KitKat update V2 for Micromax A120 Canvas 2 color and here is a guide to update KitKat on Canvas 2 color, therefore it is a safe and easy method of update Rom on your Micromax A120 Canvas 2 color. This article will helps you to learn for New KitKat update V2 for Micromax A120 Canvas 2 color. Micromax A120 Canvas 2 color has 1.3GHz quad core processor. Along with it has 1 GB RAM which is good option for Smartphone’s gaming. It has 4 GB internal memory. In which 0.98 GB is for apps and 1.61 GB is for users data. This phone has 5 inches screen size. Its resolution is of 1280*720 pixels. Its screen is made of IPS display technique in which one can see about 16.7 million colors. Step 10: After the process complete, a green ring will appear. The Micromax A120 Canvas 2 color has superb performance, you must be root your phone, because root allows for you to use a maximum of your phone without any restrictions. 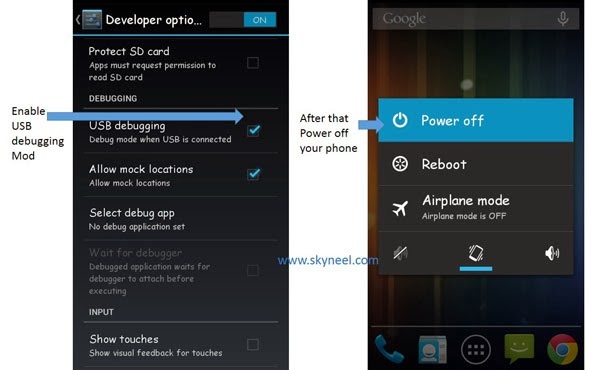 After root you will install custom apps, Rom and setting in your phone. After root you can install custom Rom, custom setting and apps on your phone. Read Root Advantage and Disadvantage by this post then root your phone and install CMW recovery on your Micromax A120 color click here. I hope you like this new KitKat update V2 for Micromax A120 Canvas 2 color installation guide from which you will be able to easily install new KitKat update V2 for Micromax A120 Canvas 2 color without any extra efforts. If feel any problem in this guide then please use comment box. Thanks to all. thank you bro,I have successfully flashed my briked a120 with stock kitkat , phone is running ok, but app memory reduced, how can i fix it? Thanks alot sir you helped me alot. Sir plz can you tell me that is wiko rainbow v13 kikat rom is flashable over this stock kitkat rom of A120. Plz anwer i have searched the whole internet but didnt get the answer i hope you will help me. My mobile is not getting on. Their is Google play services unfortunately stopped showing. Now the mobile never getting on. How to do. Is it possible to update my mobile at home with help of another mobile by downloading flash. Pl reply me ungently..
No, In this process you will need a PC. kindly give me a solution for this. do i need to again install the rom?? i will fash sucessfully. how to you said. but after this process my device has a error. “INVALI IMEI”. please resolve it. Don’t worry, Here is guide – How to fix or resolve lost IMEI Number in Micromax and MTK Device. I have got an update ( kitkat 4.4.2) from micromax care. I want to downgrade my MX C2C A120 from Kitkat to Jelly Bean 4.2 (Stock version). Let me know there is any chance of dead my device. Would be grateful if somebody provide the download link of Stock ROM for this device. Here is guide How to flash Stock Rom v1 of Micromax A120 Canvas 2 color. in downgrade Rom you can’t use upgrade firmware potion, so use download option. Thanks Sir, will it support MTK6582? I think my is MTK6582. After flashing ROM should i start my device first or I should write IMEI before start? Micromax A120 Canvas 2 based on MT6582, so you can use it. In this process, we don’t need to write IMEI. Now update your phone. 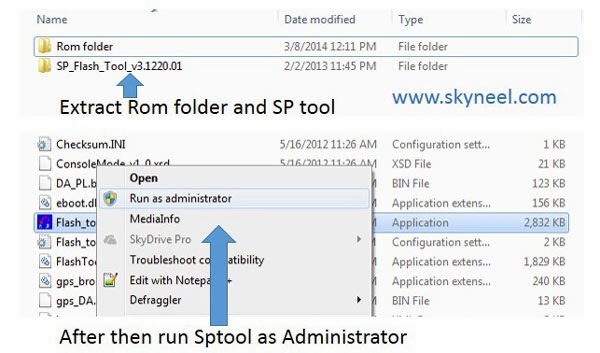 try other version of sptool. Should I try more older versions or should use update option? 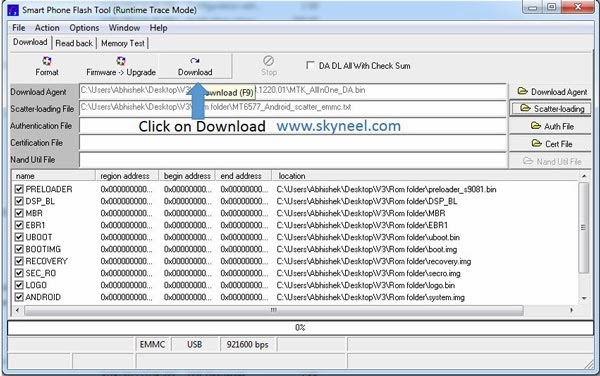 Install vcom driver on your PC. then try it. Hey, I have installed the stock firmware successfully using ”firmware update” option instead download! This whole process must be done with or without the battery…? iam using canvas A120 8gb rom comes with Kitkat 4.4.2 i uninstall some of system apps with one click root then i unrooted my phone. my phone till have warranty. i dont want to void warranty. i get back my system apps. If i install this update for my 8gb rom A120 its void warranty or not? Don't take risk, because your phone has MT6582M chipset and Micromax A120 has MT6582.Both are diffrent. I cant call and msg., but no problem to internet. Can u help me. I just flash this rom. My phone micromax a 120 Kitkat. Or can u send me Build version 1 Of my phone. I got kitkat 4.4.2 pre-installed, how can I downgrade to stock jb? I went to Micromax care yesterday for kitkat updation.. they did it through OTA via wifi… but after updating and while rebooting it said update failed… maybe this manual upgration works..
Got it… now my canvas colour a120 is not rooted… can I still upgrade it to kitkat through this Flash Rom??? Now after upgrading, what about my apps that I have installed?? Are they all going to get deleted???? N wat about my apps storage after upgrading to kitkat??? 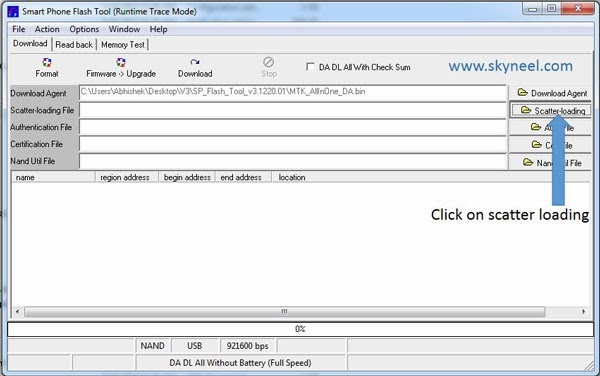 Is internet connection required on computer for downloading flash rom after detecting it??? What is the exact version of sp tool to detech my canvas a120?? I am currently using epic rom.i would like to go back to my orginal version of canvas colurs a120.can u provide the link. yes, you can flash new kitkat update v2. thanks for the factory ROM…..i just restored my phone to the showroom condition. Hello Abhishek. Will this official kitkat rom work on Micromax Canvas 2.2 A114 as well, since they have theexact same hardware? No, Please don't try it. wait for some time Micromax work on KitKat for all Canvas phone. 1.will it consume more RAM and make my phone slower. backup or i would automaticallyget my data as it is after updation. welcome, Update your phone then check this update. If you will feel any problem then install again your phone previous version V1. If you are using 4 gb rom canvas 2 color, then you will face internal space problme . but speed of phone will defiantly increase. 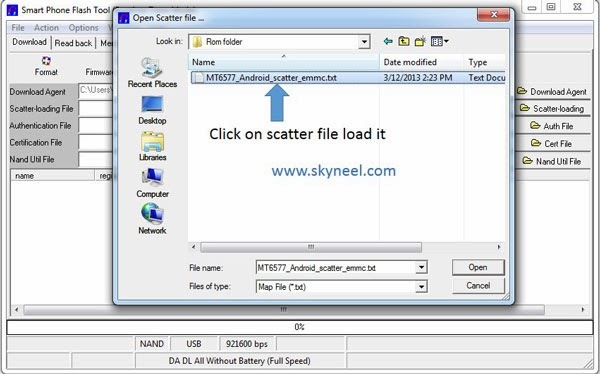 click on format and upgrade after loading scatter file ….. not on download button as show in above images ….. If i install this update, Will this process void my warranty. because my phone is un-rooted and i don't want to root it.